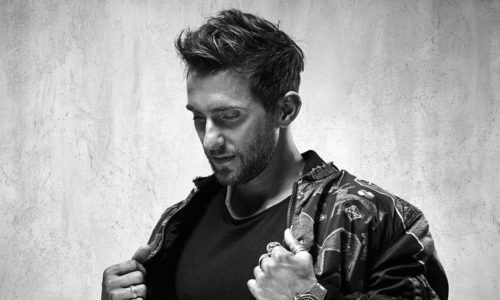 His heart no longer in the music he had made his reputation playing, Hot Since 82 stopped producing and stopped DJing. Thankfully for house music lovers everywhere, it didn’t last. In 2010 he “walked into the city centre of Leeds and just started going raving again. Good quality house music was back!” And it was a night out that got him back in the game. “I went to Ibiza with the lads that summer, and we were at an afterparty and when the music stopped I put my iPhone in and a record I had made came on. It had just been lying on my hard drive for a couple of months – I hadn’t made it to release, or to start DJing again.” The response on that night convinced him to try to release it, and he contacted his friend Danish DJ/Producer Noir, coincidentally, another of 2013’s brightest stars. ‘Let It Ride’ came out on Noir Music on September 5, 2011. It hit number three on the deep house chart just as the new style of bass-heavy, garage-influenced ‘deep house’ was exploding. Hot Since 82 was born. Since then tunes ‘Knee Deep In Louise’, ‘Like You’ and ‘Houz Thiz’, on labels as diverse as Get Physical and Moda Black, remixes for Green Velvet (‘Bigger Than Prince’ Ibiza Anthem & Beatport No.1), Rudimental (‘Right Here’ Pete Tong’s Essential New Tune) and Yousef (‘Beg’) – as well as his incredible first installment in Moda Black’s ‘ Little Black Book’ compilation / album series have established him as someone with an appeal across the board. Meanwhile, an Essential Mix and gigs at Richie Hawtin’s Enter in Ibiza, Footwork in Toronto, Watergate in Berlin, Warung in Brazil, We Love and Fabric, just in the past 12 months prove he’s one of the hottest DJ talents around. With ‘Little Black Book’ the perfect showcase for Hot Since 82 talents as a DJ and producer, and an upcoming tour of North America (taking in clubs from Output in NYC, Spy Bar in Chicago, Sound in LA to Space in Miami) the softly spoken Yorkshireman with a mischievous grin is only getting hotter. And having given it all up once before, Hot Since 82 ‘s vowed to never turn his back on house music again. “If I wasn’t doing this here” he confides between mixes on the Space Terrace, “I’d be doing it in my living room at home.” If it returns, it’s yours forever.